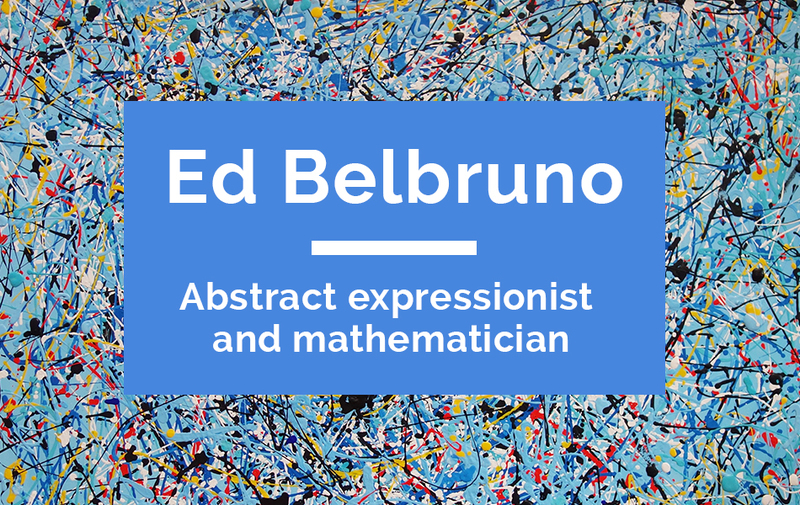 Abstract expressionist and mathematician, Ed Belbruno sees art, math and science as part of the same creative process. 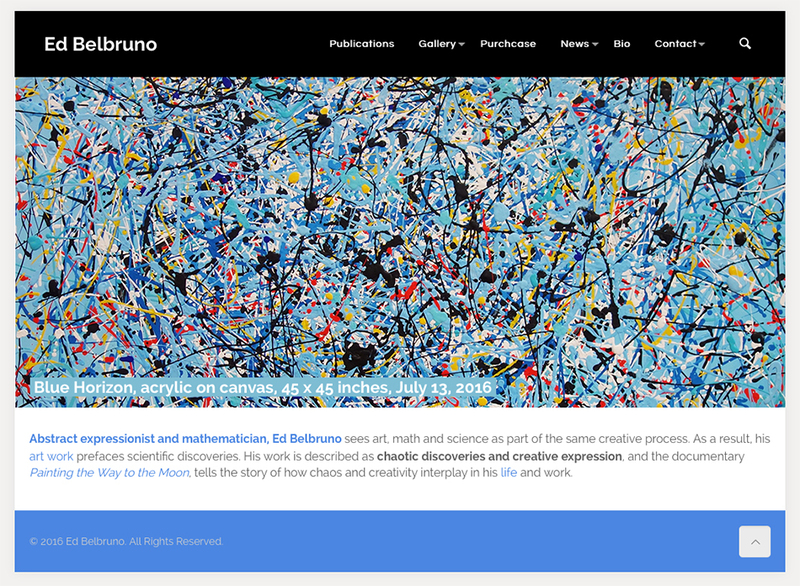 As a result, his art work prefaces scientific discoveries. 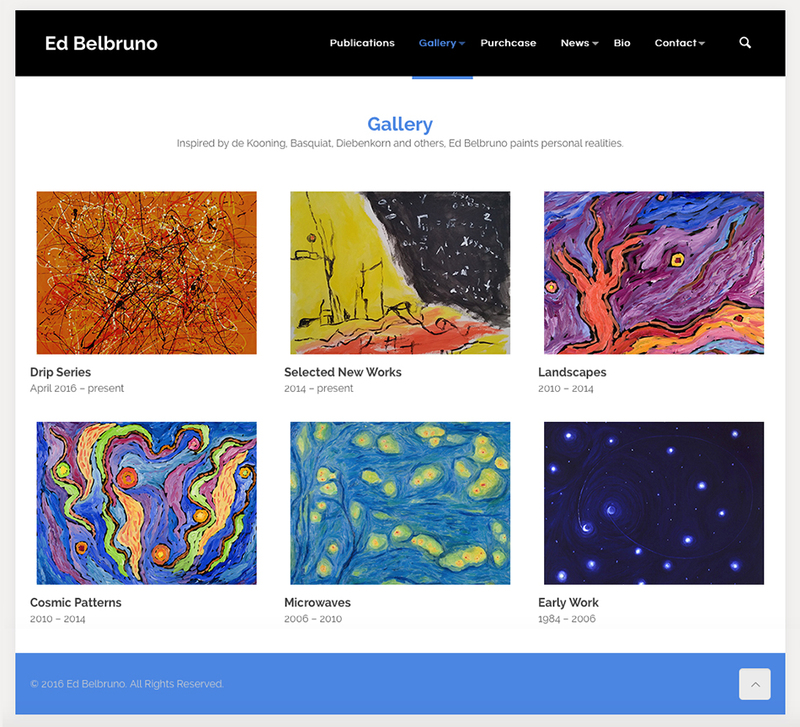 His work is described as chaotic discoveries and creative expression, and the documentary Painting the Way to the Moon, tells the story of how chaos and creativity interplay in his life and work. 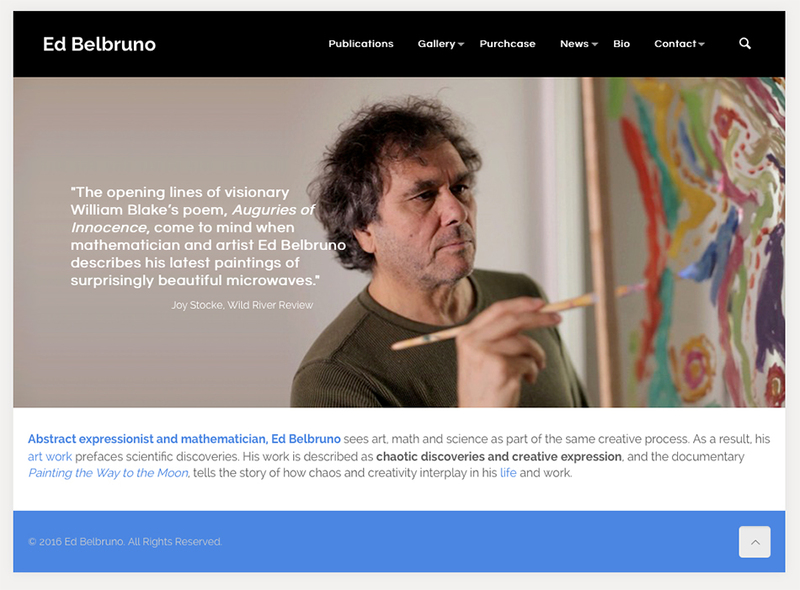 The latest version of Ed Belbruno’s website combines both his work in art and science. We upgrades to a responsive WordPress theme and updated all the content.